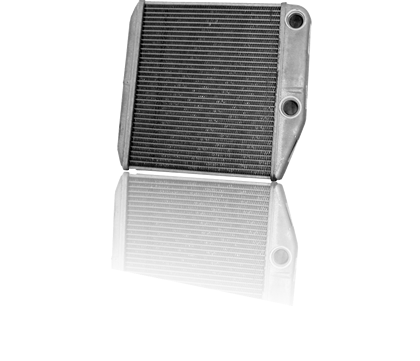 A heater is smaller version of the radiator from the Engine Cooling System. The heater instead is part of the HVAC System (Heating, Ventilation and Air Conditioning System) and its primary purpose is to heat the interior of the vehicle for passenger’s comfort. Coolant from the Engine Cooling System is circulated, when needed, through the inside of the heater. A fan (blower) forces ambient air to circulate through the outside of the heater before entering the interior of the vehicle.